The mountains have been my home ever since I can remember. I grew up with their mass dictating my movement and their towering heights cutting my days short. They have been a constant presence in my life but I never truly respected them until they weren’t. Three years ago I went away to college and left them behind. It was through that distance that those already high peaks grew even larger in my mind until I had no choice but to go to them. Since last summer I have climbed 41 of the 48 four thousand foot mountains in New Hampshire, always with a camera around my neck. 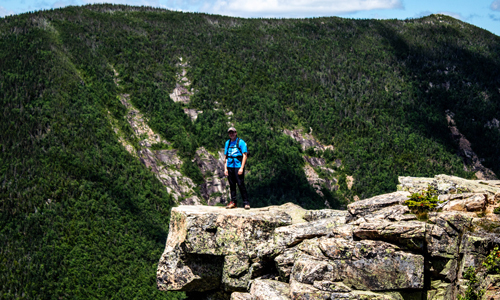 Once I complete the 48, I plan on hiking the rest of the high peaks in the north east and maybe one day the Appalachian Trail, collecting amazing photographs and memories along the way. I have placed a number of photos on this site, but please join me at flikr.com for my collection of White Mountain Photos and shots from my travels in Europe and college in Washington DC. All photos are available for licensing for a small fee.